Musically, 1997 was a year of transition for B96. In comparison to previous years, the station began phasing out much of the Dance music that had defined its sound over the prior decade or so. Yet, at this time, B96 still positioned itself as “Chicago’s Dance Beat”, fueling the launch of a suburban competitor earlier in the summer. 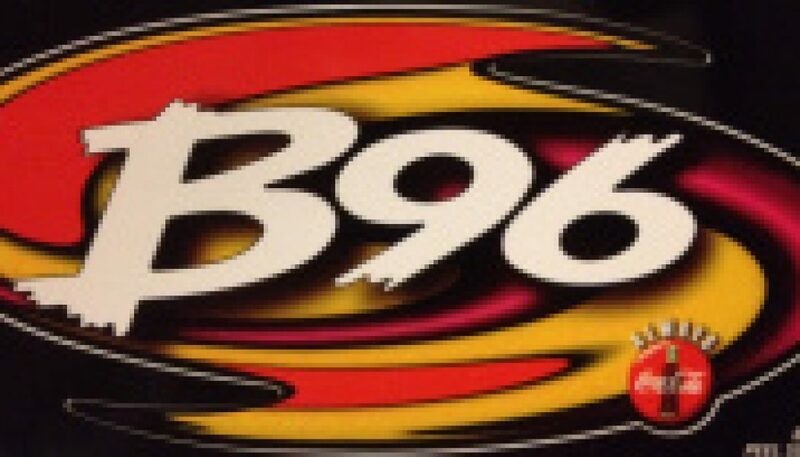 During the 1990’s, Chicago’s B96 was one of the most unique Rhythmic CHRs in the U.S. This is a montage of the broad-based, personality-heavy “Street Flava” program. “Today’s Hottest Music is on Power 92”. This aircheck, recorded on the night before Thanksgiving 1995, represents the sound of KKFR (92.3) Glendale/Phoenix that led the station to an all-time high 7.0 Arbitron share (12+). At this time, Power 92 offered superb all-around music, air talent, and production values. Hosted by Roxanne Steele (who later spent over a decade at Chicago’s B96). During a significant portion of the 1990′s, B96 offered a dance music-heavy format focused on currents — making it one of the very few major market, full signal commercial stations in the U.S. to find success with that formula during that decade. This aircheck, recorded at the peak of that era, is a great example of why dance radio fanatics held the station in such high regard. During a significant portion of the 1990′s, Chicago’s B96 offered a Dance music-heavy format focused on currents — making it one of the very few major market, full signal commercial stations in the U.S. to find success with that formula. However, as reflected on this aircheck, by 1997 the station became more of a broad-based Rhythmic CHR, featuring less Dance hits and more R&B, hip-hop, and pop selections. Even a handful of rock-oriented tunes more common to Modern AC stations were featured on B96’s playlist. During a significant portion of the 1990’s, B96 offered a dance music-heavy format focused on currents — making it one of the very few major market, full signal commercial stations in the U.S. to find success with that formula during that decade. This aircheck was recorded on Christmas Eve 1996 and features both regular and (midday) mixshow programming, all under the label of “The At Work Dance Party”. During a significant portion of the 1990′s, B96 offered a dance music-heavy format focused on currents — making it one of the very few major market, full signal commercial stations in the U.S. to find success with that formula during that decade. This aircheck, recorded in the midst of that era (on a couple of Friday/Saturday nights in November 1996),is a great example of why dance radio fanatics held the station in such high regard. It focuses on the Eurodance genre (arguably at its peak) via mixes from DJ Markski. Please note that this montage is more music-heavy than what you’ll normally find on the site; this was done intentionally to highlight the depth of the musical selections, and also because – as is the norm with mix shows – there was minimal non-music material. During a significant portion of the 1990′s, Chicago’s B96 offered a Dance music-heavy format focused on currents — making it one of the very few major market, full signal commercial stations in the U.S. to find success with that formula. By the end of the decade, the station began taking a more conventional approach to its regular format, focusing on hip-hop and R&B hits. However, B96 still aired significant amounts of Dance during its mixshows. This is a sample of the rather unique Sunday evening “Street Flava” program, which featured regular programming interspersed with Dance mixes from multiple genres, hosted by guest DJs. This is a montage of Chicago’s longtime Rhythmic CHR recorded on a Monday afternoon, in early 2000. It’s hosted by Roxanne (Roxanne Steele), who had been part of the B96 team since either late 1996 or early 1997, after being on the air at Phoenix’s Power 92 (KKFR). She enjoyed a 12-year run at B96 before moving to sister station WCFS (Fresh 105.9) for a brief period and then onto her current home — 96.3 WDVD in Detroit. Despite moving away from its Dance-leaning format in 1997, B96 inexplicably continued to position itself as “Chicago’s Dance Beat”. The legendary Mitch Craig was still the voice of the station at this time. During the 1990’s, Chicago’s B96 was one of the most unique Rhythmic CHRs in the U.S. Recorded 19 years ago today, his is a montage of the broad-based, personality-heavy “Street Flava” program.